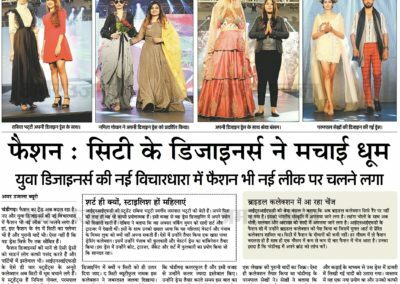 Chandigarh, July 29, 2018: 49 passing out INIFD budding Designers today presented 29 design collections at INIFD Fashion Day Out – the exquisite star studded threefashion shows back to back. 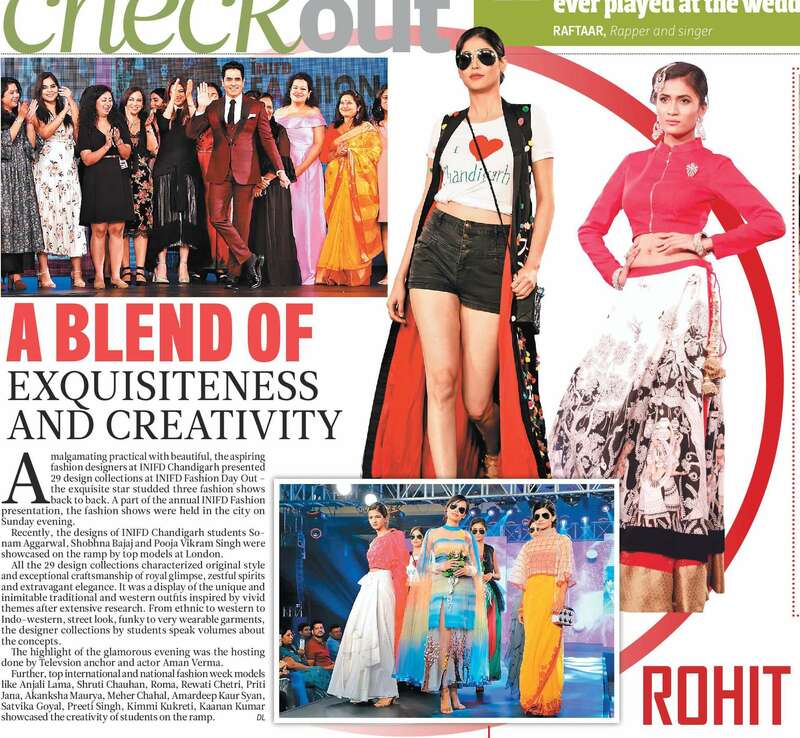 It was a part of the annual INIFD Fashion presentation, which was a heady mix of exquisiteness and creativity at The Lalit here. 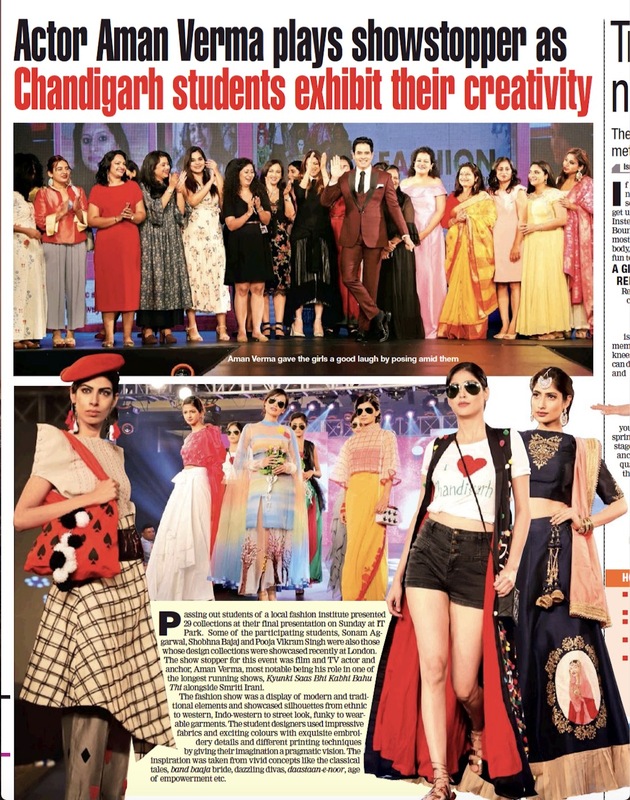 INIFD Chandigarh student designers Sonam Aggarwal, Shobhna Bajaj & Pooja Vikram Singh design collections were showcased on the ramp by top models recently at London. All the 29 design collections characterized original style and exceptional craftsmanship of royal glimpse, zestful spirits and extravagant elegance. 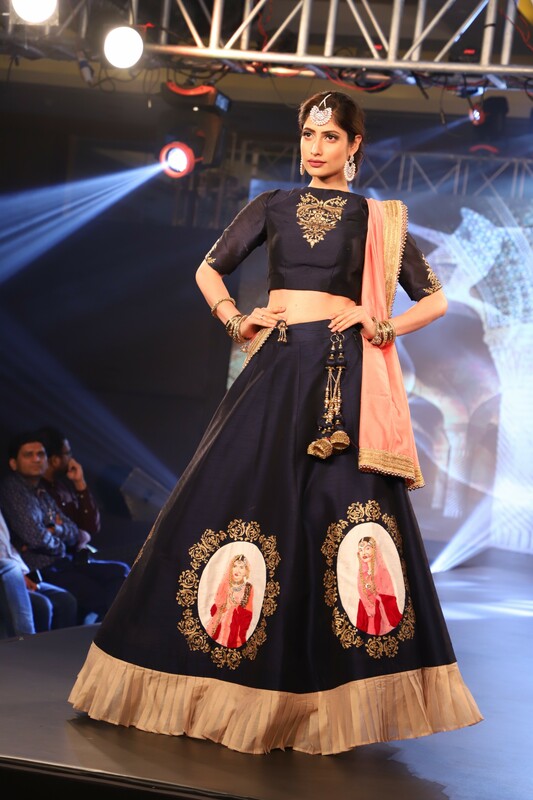 It was a display of the unique and inimitable traditional & western outfits inspired by vivid themes after extensive research. 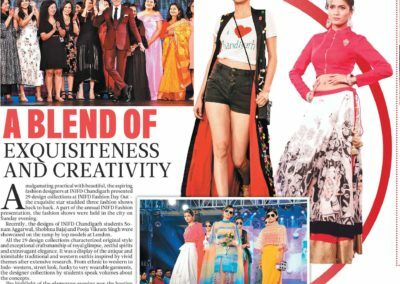 From Ethnic to Western to Indo Western, Street Look, Funky to very wearable garments the designer collections by INIFD Students speak volumes about the concepts. The INIFD student designers showcased their designer collections and created silhouettes in impressive fabrics and exciting colours with exquisite embroidery details and different printing techniques by giving their flight of imagination a distinct vision. 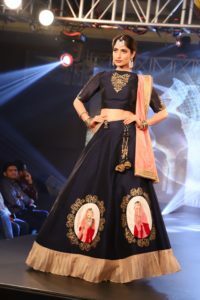 The inspiration had been taken from vivid concepts like the Classical Tales, Band Baaja Bride, Dazzling Divas, Daastaan-E-Noor, Age of Empowerment and many more. Aman Verma, Hero of the Daily Soaps, model or game-show host who plays his many roles with equal felicity hosted all three shows. 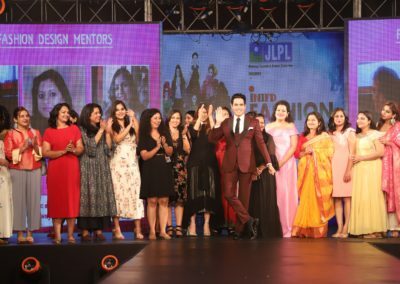 Aman Verma – the man who needs no introduction, star of Iconic daily soap ‘Kyunki Saas Bhi Kabhi Bahu Thi‘, with Smriti Irani. From acting in fiction genre to hosting shows and being part of reality shows, Aman Verma has done it all. The talented actor is also best remembered for his acting talent in films like Baghban with Amitabh Bachhan, Sangharsh with Akshay Kumar and Tees Maar Khan with Katrina Kaif. The host in number of TV shows, such as Indian Idol, khul Ja Sim Sim and Zee Cine Star Ki Khoj. He has participated in Big Boss Season 8 and Mujhe Iss Jungle se Bachao. 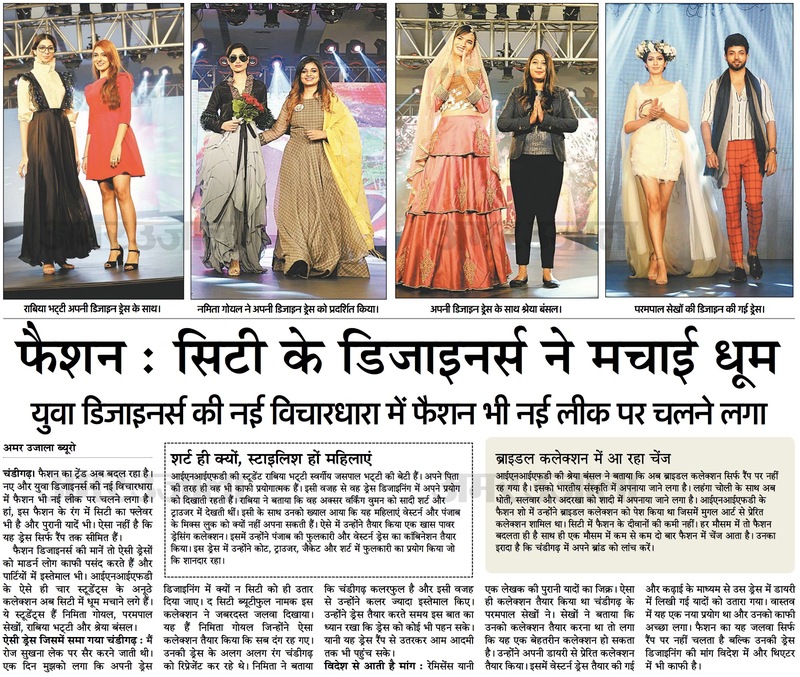 Official Show Director & Fashion Choreographer of Lakmé Fashion Week Ms. Vahbiz Mehta was the choreographer for show. Her entire team of Lakmé Fashion Week travelled with her from Mumbai. 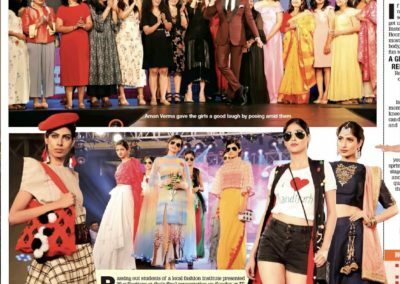 Top International and National Fashion Week models like Anjali Lama, Shruti Chauhan, Roma, Rewati Chetri, Priti Jana, Akanksha Maurya, Meher Chahal, Amardeep Kaur Syan, Satvika Goyal, Preeti Singh, Kimmi Kukreti, Kaanan Kumar showcased the creativity of INIFD Students on the ramp. 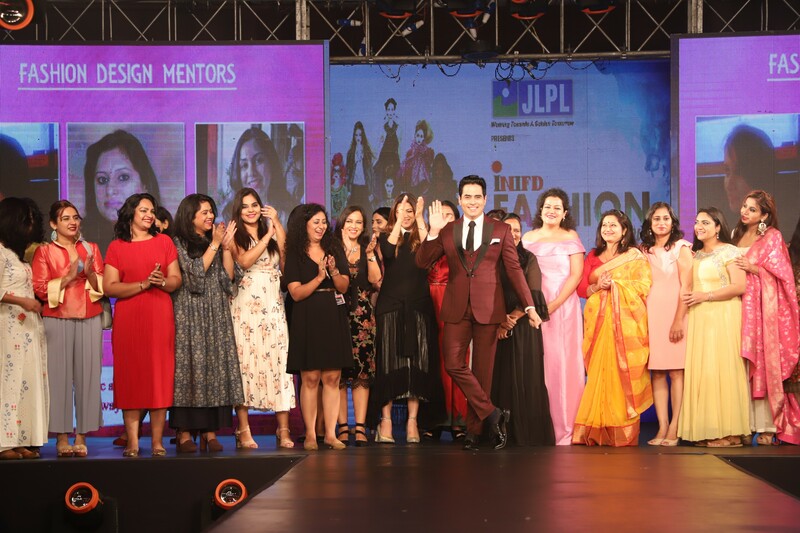 The Fashion show was produced by JLPL Real Estate Developers – A pioneer in setting up and promoting world class infrastructure in the region.